This piano was reconditioned a few years ago by another dealer with a good new action, strings, damper felts and other parts. The original sounboard is as good as it gets for a piano of this vintage. This piano has been fully rebuilt and refinished. Combining the best of the German and American Steinway parts, it yealds a tone and touch that are typical only of the best Steinway pianos. 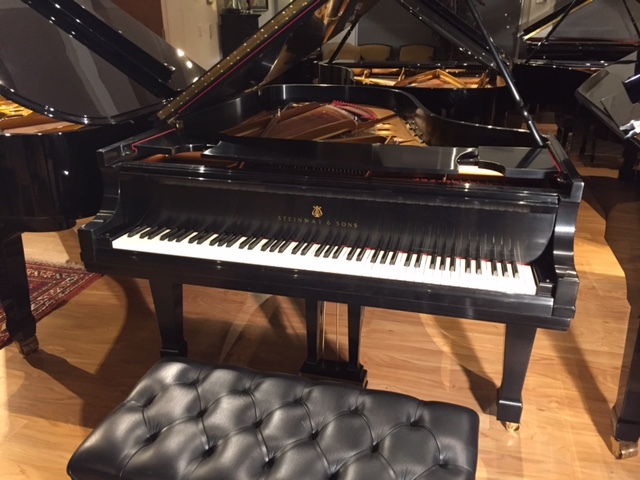 This piano was fully rebuilt to the highest standards in 2010. This piano is in original mint condition. Allegro Pianos master technicians had brought it to perform at its highest potential. Lovingly restored and refinished, this vintage Steinway is a combination of old world craftsmanship and new world technology. 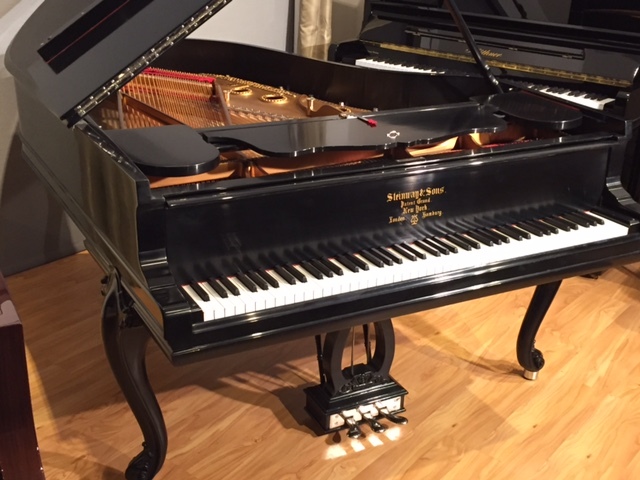 Combining the best of the German Steinway and American Steinway parts, this instrument is a marvelous example of steinwaypianos at their best. A unique and beautiful art case. 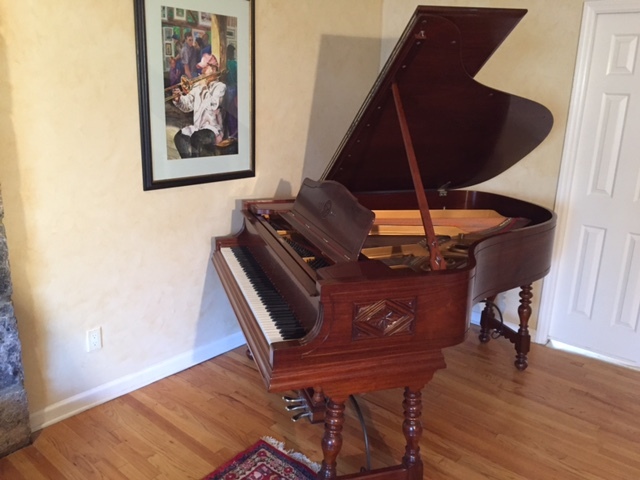 This piano was fully restored approximately 15 years ago. Pictures dont do justice to this beautiful piano. 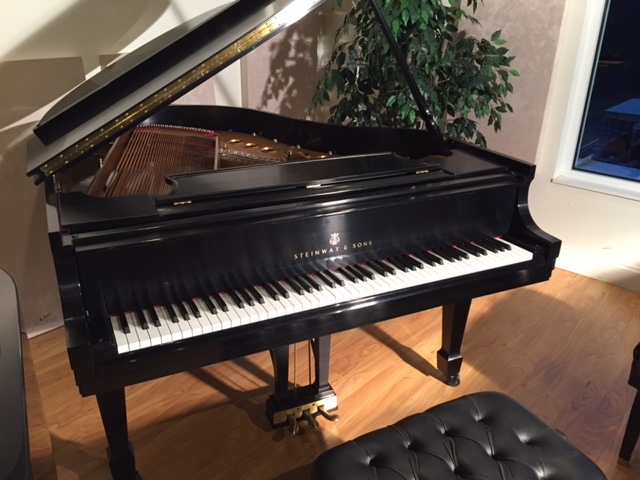 Come and see this fully restored piano on our showroom floor for the best impression! 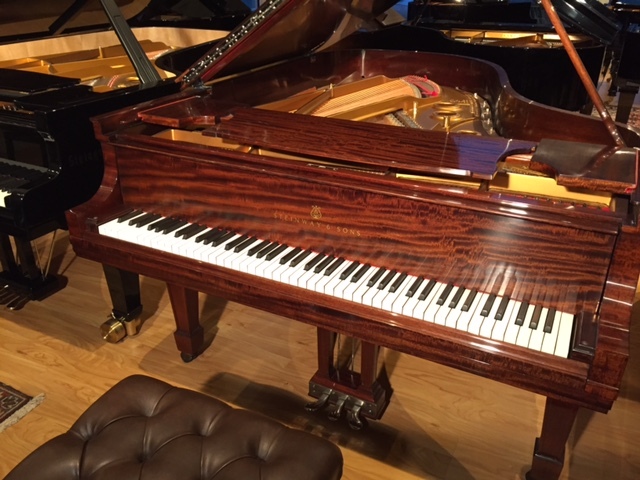 Beautiful, rich African Mahogany finish complements the tonal characteristics of this great piano. 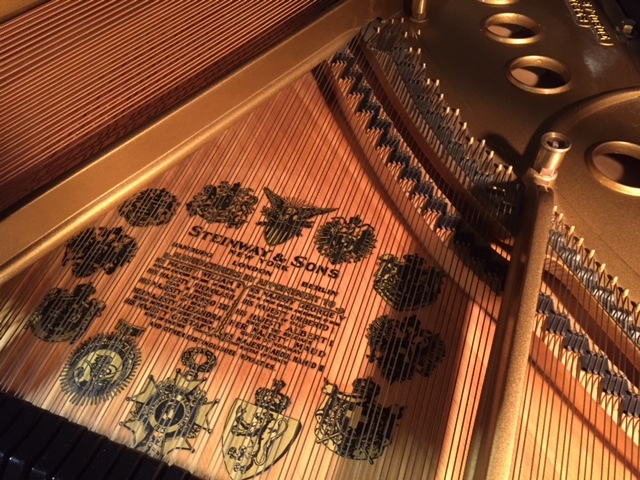 Fully rebuilt to the highest level, combining the best of German and American Steinway parts, with custom strings made to specifications and contribute to the deep, robust tone of this instrument. 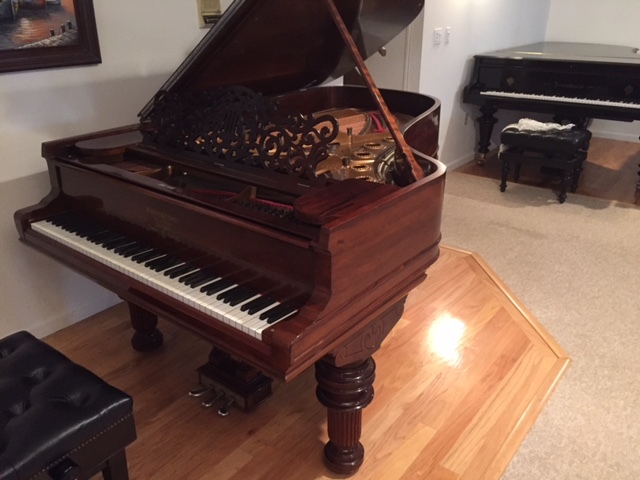 This piano was rebuilt and refinished to perfection. 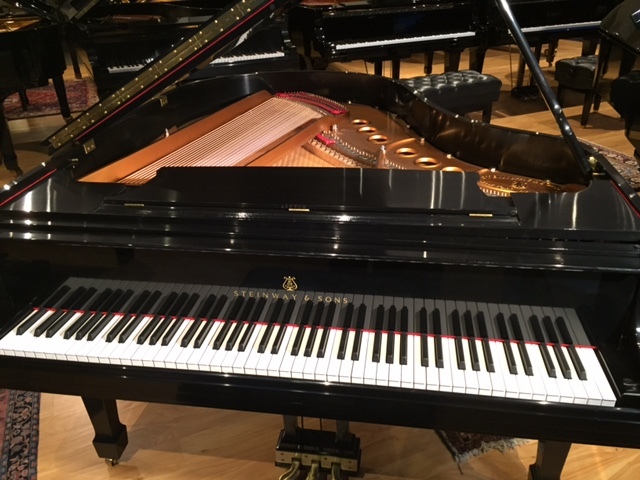 It looks and plays better than any new Steinway and is an amazing example of the company's glory days. This piano was fully rebuilt circa the year 2000. Including a new soundboard, finish and complete action.